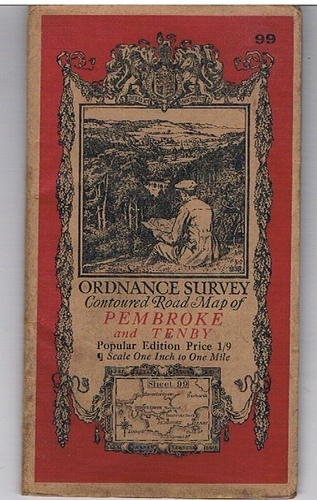 Ordnance Survey Contoured Road Map of Pembroke and Tenby. Sheet 99. Home » Atlases, maps & guides » Ordnance Survey Contoured Road Map of Pembroke and Tenby. Sheet 99. Ordnance Survey Contoured Road Map of Pembroke and Tenby. Sheet 99. Popular Edition. 1/9. Scale One Inch to One Mile. Paper, coloured map in 24 segments. Ellis Martin illustrated card covers in red and beige. First published in 1922, this probably reprint. Palekh Art. A Guide to the Museum. 41 43 (degrees)Sofia. Dzumaja Generalstabskarten.